Wise folks don't have to prove their wisdom by disrespecting others and putting them down. 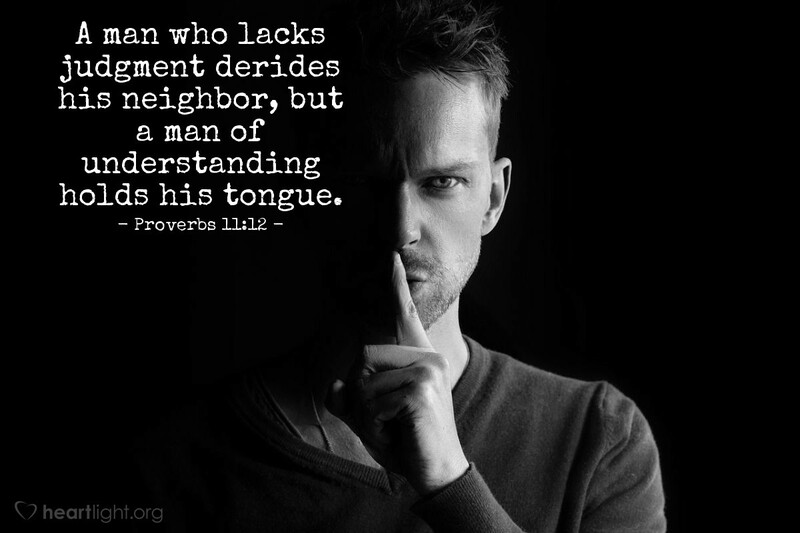 Instead, they hold their tongues and let their lives speak what is good, honorable, righteous, and true. In a world of sarcasm and in a culture that is attracted to the person who can put down others with quick and razor-sharp "put downs," we are called to bring a blessing with our words (Ephesians 4:29). Holy Father, give me wisdom in the way I use my speech. May it be a blessing to others and a source of praise to you. In Jesus' name I pray. Amen.